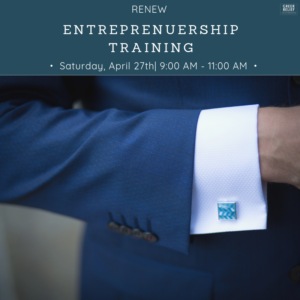 This class is an opportunity for individuals 18 and older to shadow a local business owner to gain entrepreneurship training. This class will be held on April 27th from 9:00 AM – 11:00 AM at Empire Ltd. Studio. For every hour of participation, Neighbors will be a RENEW Reward. Only four stops are open. Only those 18 and older can earn RENEW Rewards. Register here.